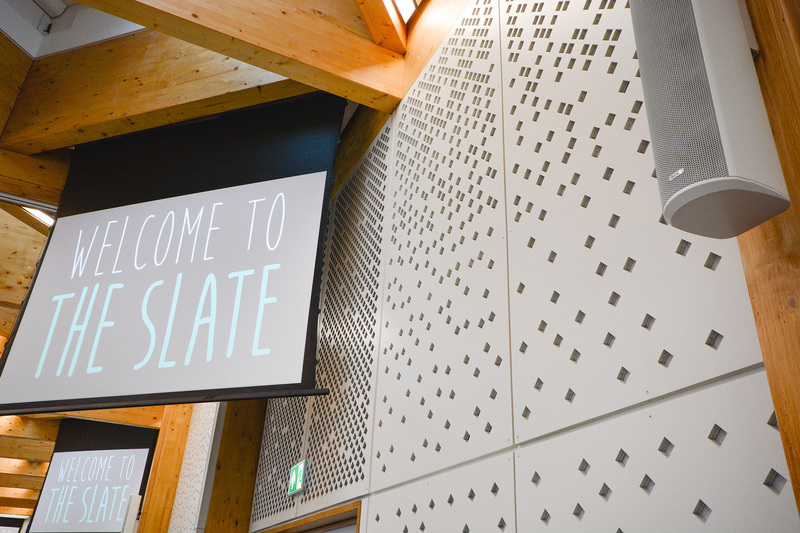 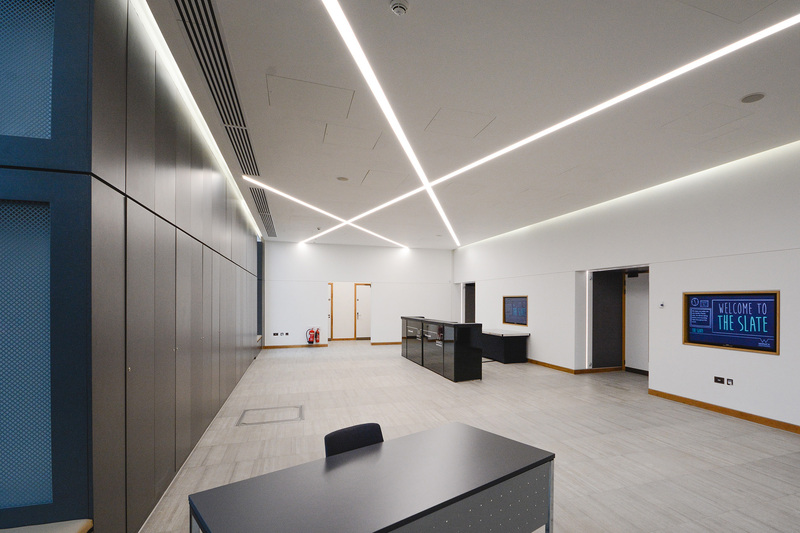 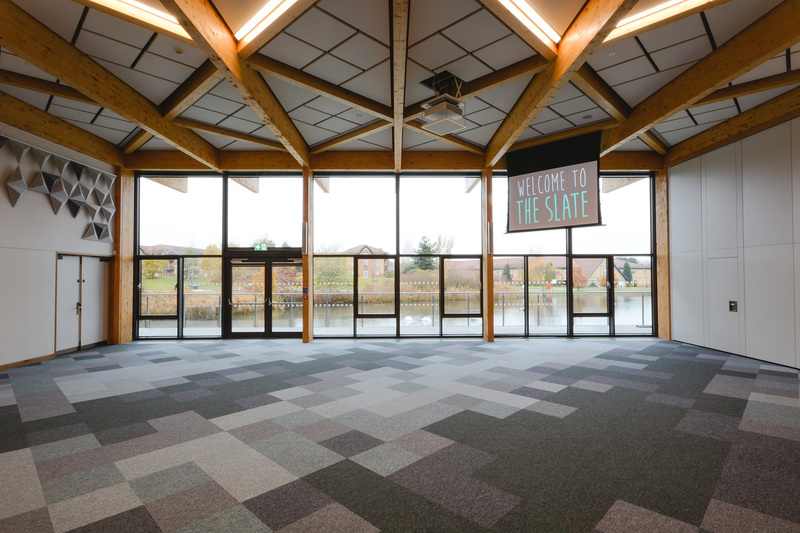 Speller Metcalfe was awarded the contract to develop a single storey conference facility for the University of Warwick, which includes a large, multi-purpose conference room, kitchen, toilets, office, plant room and external works. 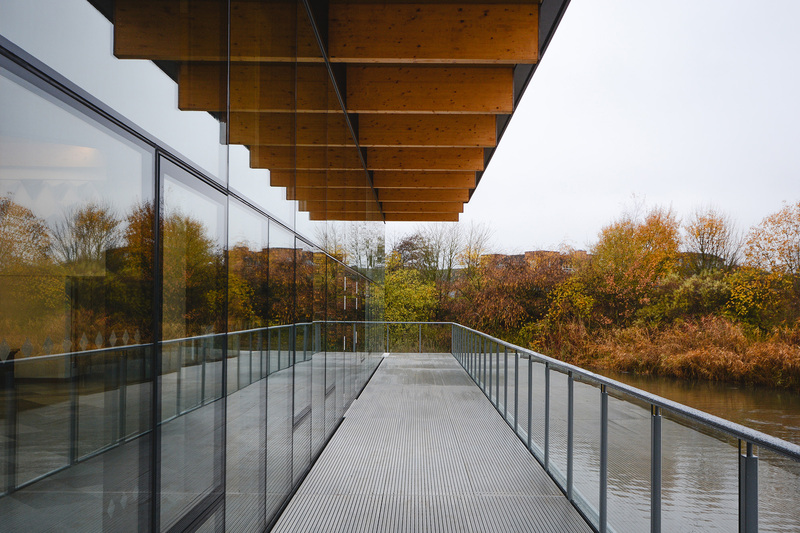 The project is impressive in its design due to its significant glazing and position overlooking an existing lake, giving the impression of a building floating above water. 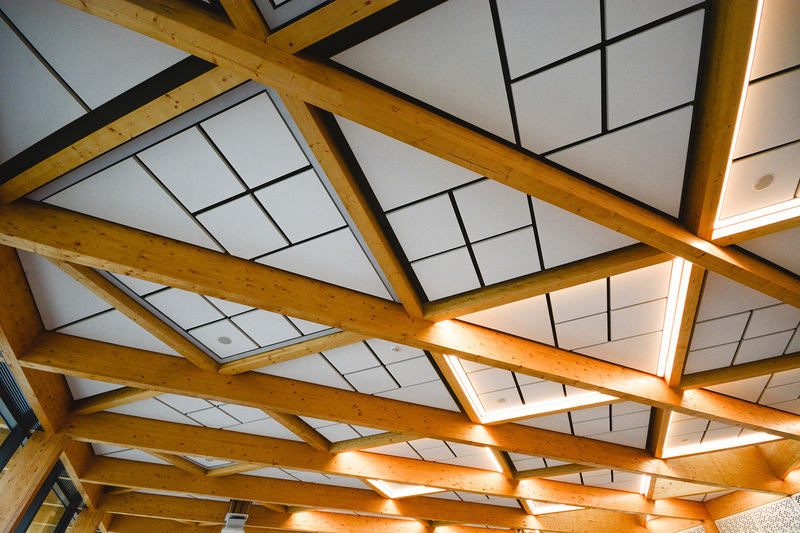 The structure is a hybrid of glulam and timber laminated beams, creating a latticework effect which is outwardly displayed as part of the building. 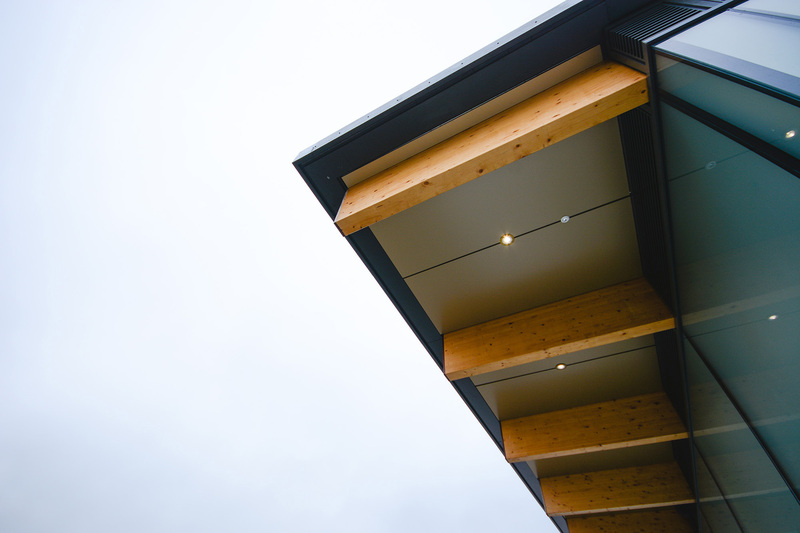 The standing seam roof also incorporates turret light wells, marrying in with the ceiling grid and cross hatching of the glulam beams. 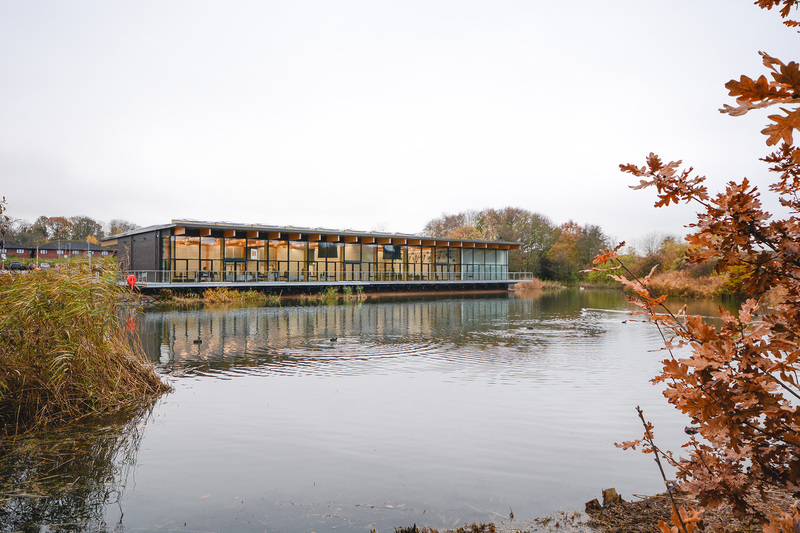 Due to the presence of the pond, extensive sheet piling and SUDS drainage is applied throughout, alongside other sustainable features including PV panels and use of the existing hot water and power system, with the project designed to BREEAM Excellent.